New 2011 introduction. Top scoring miniature show variety in ADS Seedling Evaluations. 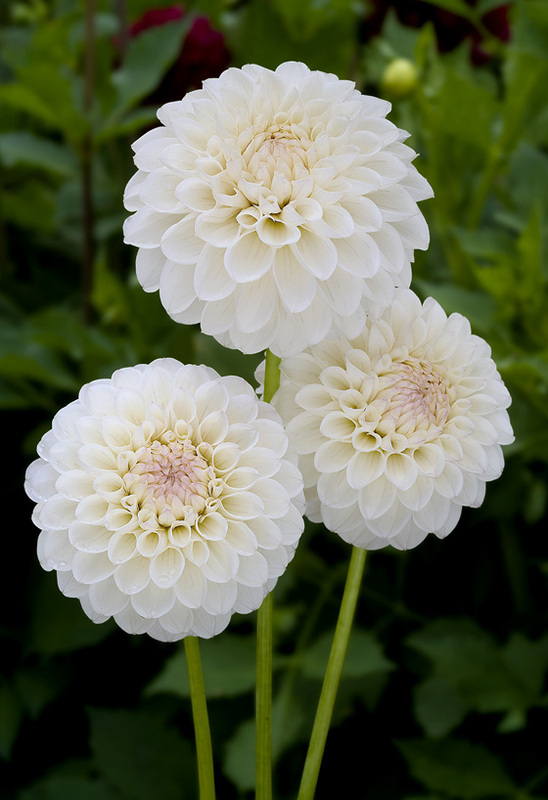 Creamy white with slight blush in the center. Very prolific. Blooms very consistent all season. Excellent as show or cut flower.